Your competent producer and supplier for all kinds of metal hardware. Your Competent Global supplier for all Kinds of Metal Hardware. 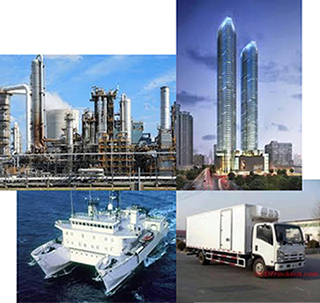 Grimm Industries Pte Ltd (G.i.C) is a Singapore-based engineering and manufacturing company with a German-Singaporean Management. We have partner factories in China. Established in 1990, G.i.C started off as a small engineering company. With it’s highly qualified staff, today G.i.C has grown into a striving internationally reputable engineering and manufacturing company and has become one of the established major producers and suppliers all around Europe (in particular Germany), Scandinavia, Australia, the Middle East, South-East Asia and the American Market. We produce all kinds of metal hardwares for all kinds of industries Automotive, Building, Marine Industry, Refineries etc. We are mainly an OEM manufacturer. Our Test Lab, well equipped with all kinds of test and measuring equipment, guarantees the usage of correct grades of materials, proper workmanship and surface finishing requirements. Our Engineering Department also utilises the latest CAD and 3D software to meet the specific needs and requirements of our customers in the diverse industries. We are a ISO 9001 certified company since 2002. Please click on the product photo to link to the product page. We customised your Hardware needs at Competitive Prices. Copyright © Grimm Industries Pte Ltd.